Captures larger particles such as dust, lint, fibers & pet fur from the air that passes through the filter. Package contains 2 pre-filters that should be replaced every 3 months. 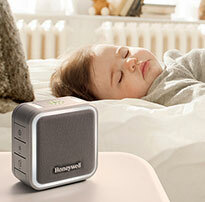 Fits Honeywell Air Purifier Models: HFD-120-Q, HFD-300 series, HFD-310 and HFD-320. 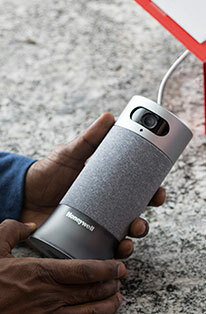 The Honeywell HRF-K2 Household Odor and Gas Reducing Pre-filter assists in the capturing of harmful and potentially dangerous gasses and VOCs such as ammonia from the air that passes through the filter. This selection of Genuine Honeywell Filters also performs serviceably as deodorizers and will keep your surrounding area smelling fresh and clean. Larger particles such as dust, lint, fibers and pet fur are also captured from the air that passes through the filter. This package includes 2 pre-filters and is best utilized when changed every 3 months. Filters are compatible with: HFD-120-Q, HFD-300 series, HFD-310 and HFD-320. Establish an unrivaled breathing experience for yourself and your loved ones with Honeywell's selection of air purifier filters. Honeywell HRF-K2 ('K') Replacement Air Purifier Pre-Filters are a very helpful complement to the ifD filter used in Honeywell QuietClean and AirGenius Air Purifiers. These optional pre-filters trap larger particles before they reach the iFD filter in your QuietClean or AirGenius air purifier. In the process, they deodorize the air that passes through them and capture some harmful gases and volatile organic compounds (VOCs) as well. Product Dimensions: 19.5 x 5.75 x 1/8 in. Honeywell HRF-K2 Household Odor and Gas Reducing Pre-filters can be used in a variety of Honeywell Air Purifiers. Please check the air purifier model range below to see if your air purifier is listed. I really love my Honeywell Air Purifier and the filters are great collects dust, bad odors and I'm breathing clean air. I run it all day, my electric bill is not badly affected. the filters themselves are good, quality, cost. It's inconvenient having to cut to fit. I love my Honeywell air purifier and these filters work great. I have allergies and these help greatly. Love these filters! Smoke and pet household, so we go through them more than the average. Easy to install and does the job. Have always used the Honeywell filter. Would not use any other! It works well for space needed. The filters were easy to install and did not require cutting to fit for the model I have. The directions say I need to check and replace the filters in 3 months. At that time I'll be able to see how effective they have been. So far, so good. Have been using the filters for several years. They work very well. Order was delivered promptly. Very satisfied. I really like my Honeywell Air Purifier...the air smells fresh even set a medium speed. buying the 2-pack through Honeywell saves money and the quality seems great. I love our Honeywell Air purifier and the filters are great. Great Product! Will use nothing other than Honeywell. Happy to find the replacement prefilter. Not carried in stores, speedy delivery! The product was clearly an OEM product, and was priced the same as supposedly equal aftermarket replacements. It arrived quickly and in good condition. We like using this product. The air purifier is helping reduce allergens and changing the filters regularly will help keep the air clean. Wonderful products! Wouldn't use any other. Love the Honeywell air purifier and filters. Really helps to collect dust and dog dander. Have several throughout the house. Always prompt Delivery of product. Honeywell filters help to keep my house free of dust and dog dander. Thanks!! I'm satisfied. I will order more from Honeywell. Best Odor Reducing Filter Evah! 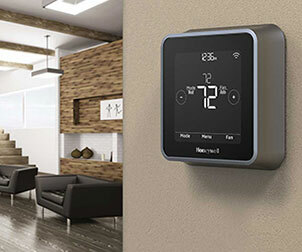 Nothing reduces pet odors like the Honeywell HRF-K2...nothing. These K- Filters really reduce smoke odor in our home. Very easy to replace. I highly recommend them if you have a smoker in your home. Great product! Keeps the air in my house nice and fresh! This filter does a great job of absorbing odors. Our older home has a partial crawlspace plus a musty basement. We don't have those odors in the living area any more since we purchased our machine and started using these filters. No issues! Glad I ordered directly from Honeywell as it was the best price available!! 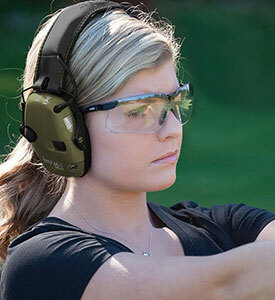 These fit right and work amazing at doing their job. The air is fresh in no time at all. Only buy genuine filters! Of course not everyone uses tobacco, but these filters take care of the smoke and odors. I use 2-air cleaners one for the upper level, and one on the lower level. We also have 2-dogs. These pre-filters are wonderful. I change them once a month, though due to our heavy use of tobacco. Product delivered in a reasonable amount of time and was as expected. Great all round online shopping experience. Easy to order, re-order with well priced ORIGINAL OEM products. Does exactly what it says on the tin. I have been using Honeywell products for many, many years, and will always use them. I find the quality of their products to be of high standards. This product isn't really necessary for the use of the Honeywell tower air filter. I was really impressed at its ability to remove cooking odors from the air. I'll buy more of these. The delivery of the filters was fast and filters are working great for my air purifiers. The price was the lowest anywhere including the shipping charge. I always order these odor and gas reducing pefilters. They not only help with the odor, gas smells from cooking and the dust in the house. Got them in a timely manner and was very satisfied with my order. I had no issues with this product. It has helped in removing a cat urine odor remaining after cleaning wood floors in a bedroom.